The story of Noah's Ark is probably one of the best know stories from the Bible, thanks to it's rather appealing symbolism, it's drama and it's happy ending (well if you forget about the suffering and pain caused to millions of people, animals and plant life). It's also helped by the fact that flood stories seem to have a deep resonance across cultures (something some Christians insist helps prove the reality of the Flood). 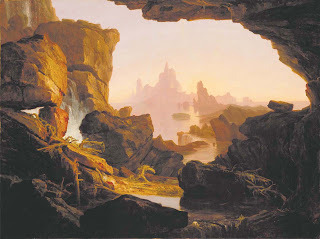 Believing in the literal truth of the Flood story is one thing, but some people don't just believe it happened: they believe the Ark is still around today and can be found. Traditions regarding the location of the Ark stem back far into Judeo-Christian history. Genesis 8:4 (New International Version): "and on the seventeenth day of the seventh month the ark came to rest on the mountains of Ararat." Josephus, a Roman-Jew who recorded the destruction of the Temple in 70AD, was among other early commentators who postulated that the mountains of Ararat lay within Armenia (which would later, perhaps fittingly, become the first Christian country). In the heart of Greater Armenia is a very high mountain shaped like a cube (or cup), on which Noah's ark is said to have rested, whence it is called the Mountain of Noah's Ark. It [the mountain] is so broad and long that it takes more than two days to go around it. On the summit the snow lies so deep all the year round that no one can ever climb it; this snow never entirely melts, but new snow is for ever falling on the old, so that the level rises. By modern times the tradition had moved to Greater Ararat back in Turkey (and mere miles from the Armenia border), a tradition which continues to this day. James Bryce climbed above the tree line on Mount Ararat in 1876 and claimed to discover a slab of hand-hewn timber, four feet long and five inches thick, which he identified as being from the Ark. Ever since astronaut James Irwin led an expedition to Mount Ararat in Turkey in 1982, people around the world have been fascinated by the possibility that actual evidence of Noah's Ark may be discovered. Unfortunately, Mr. Irwin was knocked unconscious when he tumbled down the 17,000-foot mountain. 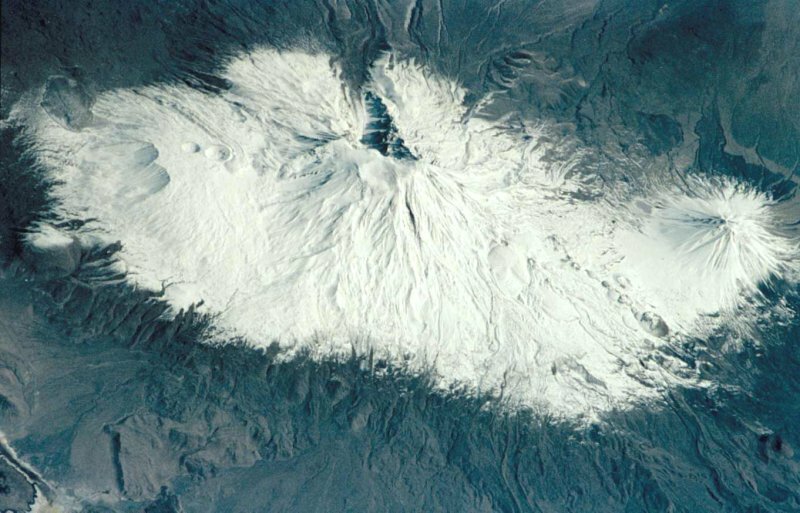 He returned to Mount Ararat in 1983, but a blizzard halted the expedition. Kurdish militiamen halted another expedition in 1985. Finally, Mr. Irwin was arrested by Turkish officials in 1986 when they accused him and the film crew of conducting espionage. Irwin never returned. The ark-hunting astronaut died of a heart attack in August 1991. 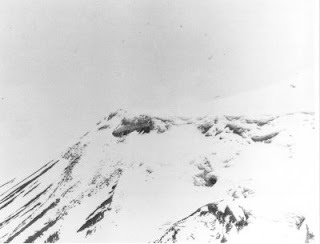 Irwin's interest in Mount Ararat was spurred by what is known as the Ararat Anomaly: The claim that a wooden structure atop snowy Mount Ararat had been spotted and photographed by military pilots in 1949. The 600-foot anomaly was also photographed by two U.S. satellites in the 1970s. Irwin's high profile as a moon-walking astronaut who wanted to discover Noah's Ark generated enormous publicity and curiosity about Mount Ararat. The Ararat anomaly is one of two currently proposed sites for the landing place of the Ark. The picture on the right was taken in 1949. The other possible site is Durupinar which is in the Ararat mountain region but not on Greater Ararat itself. This site was made famous by Ron Wyatt's expeditions and supposed discovery of the Ark here in the late eighties and early nineties. Even as recently as 2006, another group claim to have discovered the Ark... in Iran! What do I get from all this? It's all very, very dodgy. Little evidence, much fanfare and little results. It makes the Oak Island Money Pit explorations look positively successful! What do you guys think? Some sceptical perspective on the story and some of the finds. Actually, Mr Irwin returned the next year, 1987 where he piloted a helicopter and photographed Mt Ararat, see http://www.icr.org/article/report-icr-ararat-expedition-1987/ see also http://www.noahsarksearch.com/Expeditions.htm . I met Mr Irwin in Ankara right after the expedition and viewed his photographic slides after they were developed. They were nice photos of mountains, but I saw no boats of any size. The Ropen: Another Prehistoric Survivor? John Titor: A Visitor From The Future?